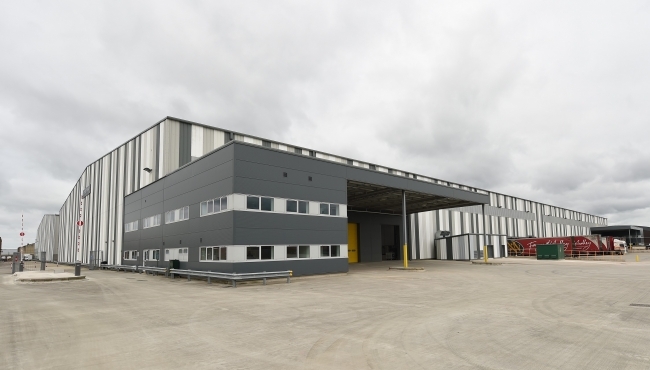 Accrol Group, the leading independent tissue converter, today announces that it has invested £4 million in a new tissue converting machine for its recently opened facility in Leyland, Lancashire. The new machine features the latest technology and will be used in the conversion of a variety of tissue grades, and will have a capacity of 15,000 tonnes or c. £20m sales per annum. Installation and commissioning will be towards the end of FY18. Accrol opened its 168,000 sq. ft. manufacturing facility in Leyland in April 2017. It has two converting lines installed and operational, with space for a further four converting lines. Commenting on the investment, Steve Crossley, Accrol’s CEO said: “The new converting line will add further production capacity at our Leyland facility and will convert a wide range of product types, particularly at the premium end of the market. 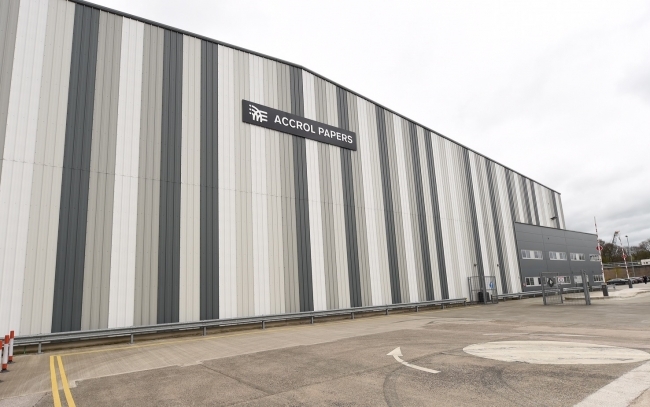 Accrol manufactures toilet rolls, kitchen rolls and facial tissues as well as other tissue products. The Company operates out of c. 900,000 sq. ft. of manufacturing, storage and distribution facilities across Lancashire. Accrol currently manufactures approximately 18 million units per week and supplies some of the UK’s largest retailers, providing both Accrol branded and Private Label products. The company obtains a competitive advantage through its model of acquiring and converting the large tissue reels that are Accrol’s raw materials, known as Parent Reels, as opposed to manufacturing Parent Reels from pulp and recycled fibre and subsequently converting. This requires a lower fixed overhead and provides flexibility in Parent Reel sourcing which allows the Group to take advantage of favourable pricing opportunities and production technology advancements. Accrol has committed capital expenditure of c.£18.2 million in the last three years. The Group currently has 17 converting lines in operation providing capacity of approximately 143,000 tonnes per annum. The Group’s operating machinery allows conversion of a wide variety of tissue grades, adding flexibility to the Parent Reel sourcing process and allowing manufacture of a wide range of product types. The majority of Accrol’s products (75 per cent. of revenues in the year ended 30 April 2016) are private label and whilst the Group also develops and supplies branded products, the ability to supply customers with goods under its own brand has allowed penetration into retailers operating in the discount market and the UK’s largest retailers. Fun fact: Accrol can launch a new private label product within six weeks of instruction from a retailer.